Tutoring with a Catholic Twist! 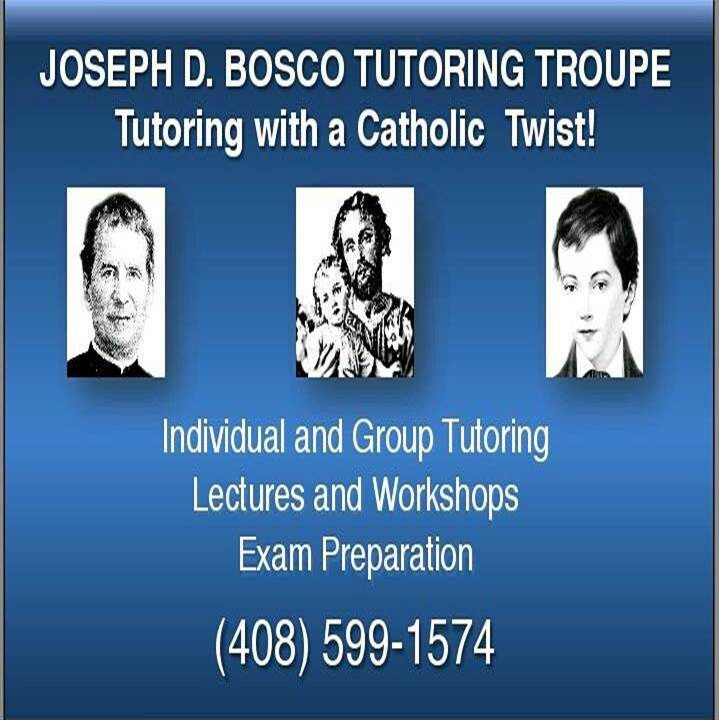 If you’re looking for an experienced, versatile, and AFFORDABLE tutor, then the Joseph D. Bosco Tutoring Troupe is the right choice for you! We are a Catholic Tutoring company in which we do our very best to transmit the Catholic Faith in every lesson. We specialize in assisting homeschool parents in educating their students in those areas that they lack in. Your tutor has a BA in French and an MA in Early Modern French Intellectual Religious History from NC State University, but he has also discovered the ability to help students in Math & Science as well. He was a school teacher for 15 years, and has taught & tutored most of his professional life. He’s worked in both classroom settings & one-on-one tutoring, and can work easily with both. He’s been able to motivate otherwise unmotivated students using a variety of methods depending on the individual student. He has worked successfully both with high-achievers and struggling students. Presently he is teaching a 7 year old to read, a K-2nd grade Latin class, tutoring a high school Geometry & one in Algebra 2/Advanced Math, a Freshman English/History, an all around GED prep, taught two courses in English-side SAT, a course in US History for the AP, a couple siblings piano, prepped a student for the SAT 2 in French, and even French and theology to an adult. As a homeschooling dad of 5, your tutor understands the unique challenge and financial burden quality tutoring services can have on a family. He has price pointed himself to be affordable to all families. Not only will your student gain the knowledge and confidence necessary to succeed in the given subject, but your student will also develop virtues needed to succeed in Life! Namely the need to commit to something even when it’s obvious good is anything, but obvious! For further information, you can visit the Joseph D. Bosco Tutoring Troupe Facebook page or call (408) 599-1574.